Vogel’s motorized TV wall mounts can now be controlled automatically by Loewe televisions. At IFA 2018 this exclusive solution is introduced at the Loewe stand; hall 24, stand 101. Vogel’s developed its NEXT Series motorized TV wall mounts to be used universally on every TV screen from 40-65 inch with an automatic auto-home position. Loewe covers an important part in the large OLED-screen TV market. And as they incorporate an active standby protocol in their TV systems, in 2018 both Research & Development teams of the international operating companies successfully combined forces to enhance the use of the motorized TV wall mounts in combination with Loewe televisions. Both companies are proud to show the exclusive combination during IFA 2018 on the Loewe stand (Hal 24, stand 101). 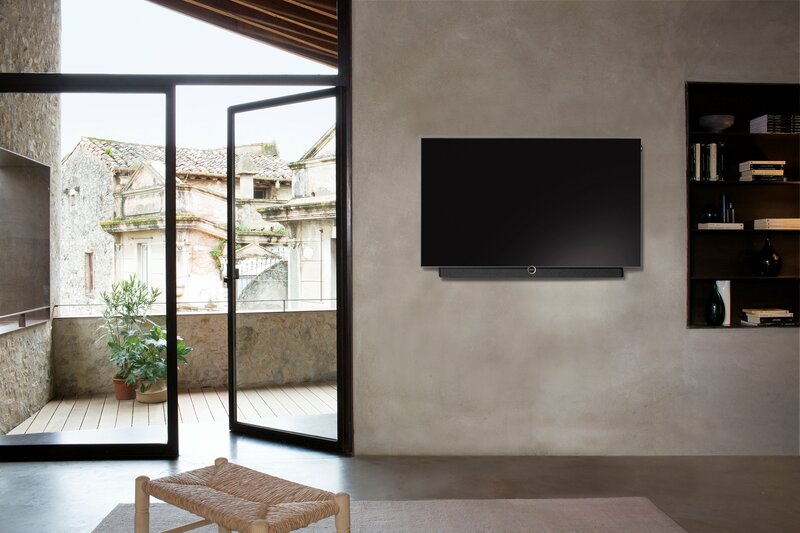 Loewe televisions are combined with the Vogel’s motorized NEXT Series TV wall mount NEXT 7355. What began as a personal quest for perfection has evolved into an international successful company that manufactures a highly distinctive range of mounts and support systems for audio/video & multimedia equipment. Vogel’s products combine versatile functionality and robust performance with sleek design. For 45 years, Vogel’s solutions have been based on the talent and commitment of people who care passionately about the products they create and the customers who use them. Since developing the world’s first loudspeaker mount in 1973, this Dutch company has produced a steady stream of award-winning solutions that make people’s lives more enjoyable. Today, Vogel’s is renowned for its outstanding line of mounting solutions for TV screens, audio/video equipment or tablets. You will find Vogel’s everywhere; not only in living rooms, bedrooms and kitchens, but also in major airports, shopping centres, restaurants, hotels, football stadiums and hospitals. All products are developed to provide an extra dimension of personal comfort for today and tomorrow. Founded in 1923 by the brothers Siegmund and David Ludwig Loewe, Loewe presented the world´s first electronic film transmission at the 8th Berlin Radio Exhibition in 1931, earning a mention on the front page of the New York Times. The brilliant inventor and physicist Manfred von Ardenne, Loewe’s Chief Engineer, came up with the technology. This marked Loewe’s invention of the television. Loewe also developed the first portable television. And that’s not all. Loewe Art 1 — now a design icon — was exhibited in the New York Museum of Modern Art (MoMA) in the 1980s. Loewe devices are still made in Germany — and with great passion, enthusiasm and extensive expertise. The development, production and service departments are based in Kronach (Upper Franconia). Loewe products have been perfected down to the last detail. Modular technology, premium materials, precise workmanship, regular software updates and timeless design guarantee sustainable Loewe products.